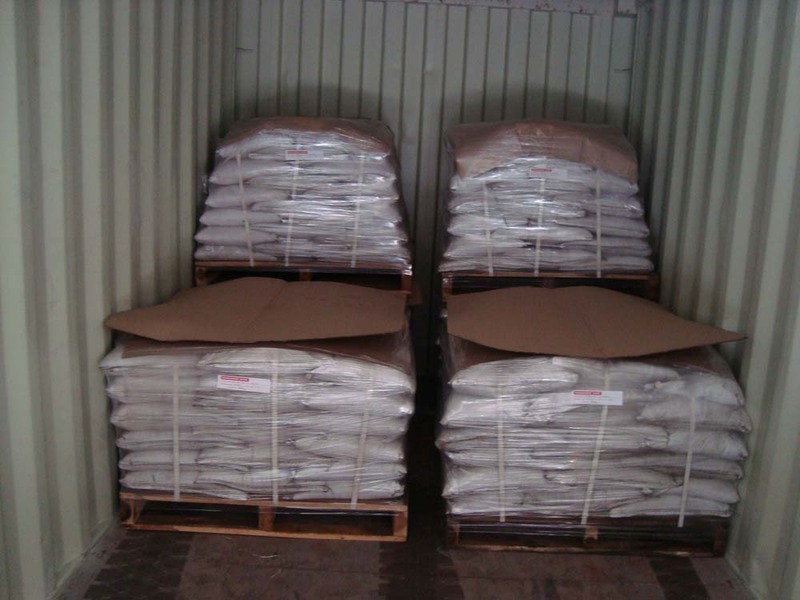 Manmohan Minerals and Chemicals (P) Ltd exports to more than 40 coutries throughout the world. 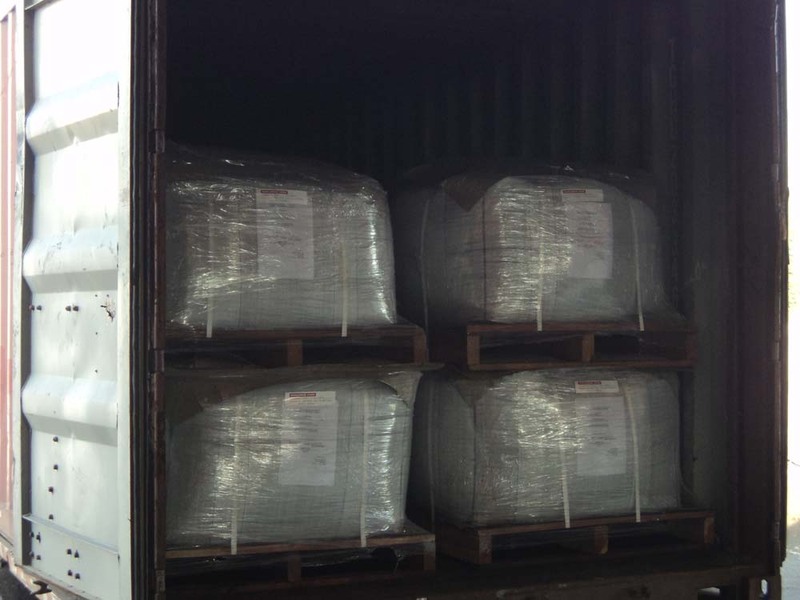 To ensure that our material reaches our overseas customers in the proper manner, we take special care during packaging and despatch. The material is packed in 25-50 KG HDPE/paper bags or 1000 – 1250 KG HDPE jumbo bags as per client requirements. 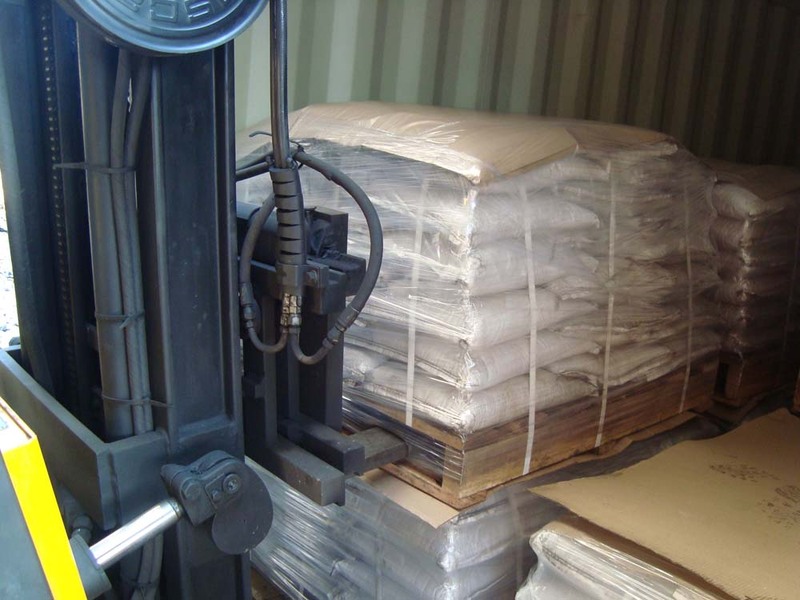 It is then palletized onto wooden pallets and shrinkwrapped to safeguard from moisture and other contamination. 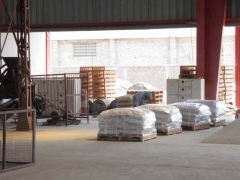 Before palletization, it is ensured that all wooden pallets have been fumigated and certificate of the same is obtained from the fumigation agency. 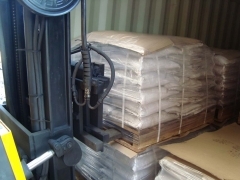 Finally, the pallets are safely loaded into the containers using forklifts. 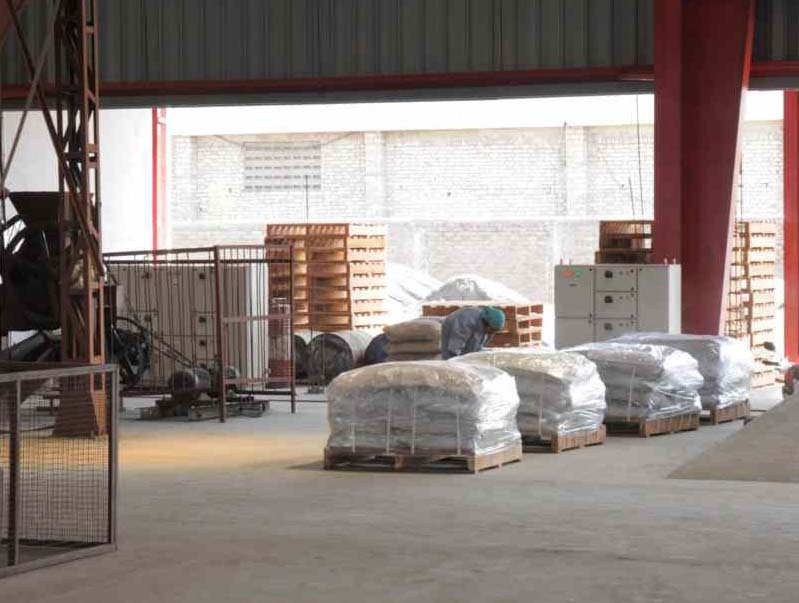 At all times, care is taken to ensure that none of the bags suffer a tear leading to spillage of material.